“To participate, means to enjoy movement and reciprocity within the generative ground of our universalized becoming and the foregrounding of our being. To participate means to act and to be acted upon, to affect and effect, to mediate both spatial and temporal extension in infinite directions and dimensions. To participate means to be “in the soup”, not somehow above, beneath, behind the action, through the veil of transcendence, assumption of objectivity or inference of subjectivity. To participate means to lose track of cause and effect, agent and object, knower and known, actor and script. To participate requires a pre-conceptual or post-dialectical orientation to reality as “a movement, a happening, a transformation… as events that are constantly transformed.” (Oliver, 1989) To participate means, as Whitehead would have it, is to be in a relationship of feeling among a society of all other entities, human and nonhuman, biotic and a-biotic, within a nexus of shared history. To be not an observer, requires awareness of oneself as what Gendlin (1997) calls first-person process which, he reminds us is not a perspective. This process, this transparency, this awareness, that is not an observer and does not observe – which I call View—is the generative process of becoming presence, feeling, image, body, self, concept, time, space … perspectival multiplicity – which only thereafter, the dialectic mind, blind to its own dualistic perversions, divides along the conceptual fault-lines of the AQAL quadratic. Whether this happens “before” or “after” its association with the dualistic phantoms deposited deep inside the enculturated psyche, doesn’t matter – because from the a-temporal view of pre-separated origin, these kinds of distinctions cannot be fixed in a static frame of reference. The problem situation we have, here in the epoch that Gebser identified as late stage Mental structure of consciousness, the problem situation is that we have concretized the evolving products of a generative process into self-made cages, by believing that this world of duality is a necessary property of being, rather than a rolling transformation in a continuum of becoming. The philosopher Alfred North Whitehead said that reality arises through a series of moments which feel into the past moment as they feel for(ward) the next moment. For Whitehead, the action in-between was nothing at all like the tight wire between the physicists’ cause and effect. Rather, Whitehead thought of this feeling-process—which he called “prehension” – as incredibly sensitive, provocative, and loving; and he construed it as the long, long moment of possibility, freedom and choice, in the timeless space of becoming, before the actual occasion is concretized into being. If you situated yourself imaginatively inside Whitehead’s process reality, you would experience yourself as a living center of transformational process. Without a sense of separate self, nevertheless you would feel the act of cause-creating-effect-creating cause… and in the a-temporal pulsations between cause and effect (actual and potential) you would discover vast promise and freedom. The more you prehended your neighbors and relations, the more extensive you would become, until you felt the in-becoming of one body through the simultaneous presence of many bodies. The more stabilized your prehension, over the long slow moment of feeling, the more expansive you would become, until you realized the in-becoming of one novel moment through the simultaneous presencing of many moments.This requires a whole new mind – one which allows the range and diversity of our (humans’) ontological narratives to continuously compose and decompose ourselves as participants in a persistent plurality of novel relations. This demands a whole new view – one which becomes increasingly aware of the metaphysical necessity of plurality, diversity and asymmetry in any cosmology that is authentic to the apperception of a shared unbounded wholeness. The dualistically-constructed dialectical mind cannot achieve this scope where incommensurability of beliefs is a sign of novelty, and novelty is a sign of a unified generative process of shared becoming. This is all so to the point Bonnie! I would really like to think/sense/source with you how we can make that kind of ‘view’, that kind of participation and that kind of apprehension happening in a gathering. I think we need to keep moving into communities, large and small, participating with congruence, coherence and as exemplars. I am currently working on two initiatives that hopes to bring this kind of participation to college-age people. I love the idea of “moving into communities, large and small, participating with…” and one point that I feel needs to be addressed is the presence of evil. What makes a person go wrong? What ways can this be prevented and in the event of its visibility (however marginal) what steps can be taken to address it? What is missing in the person exhibiting such incoherence or what is exciting it into becoming? 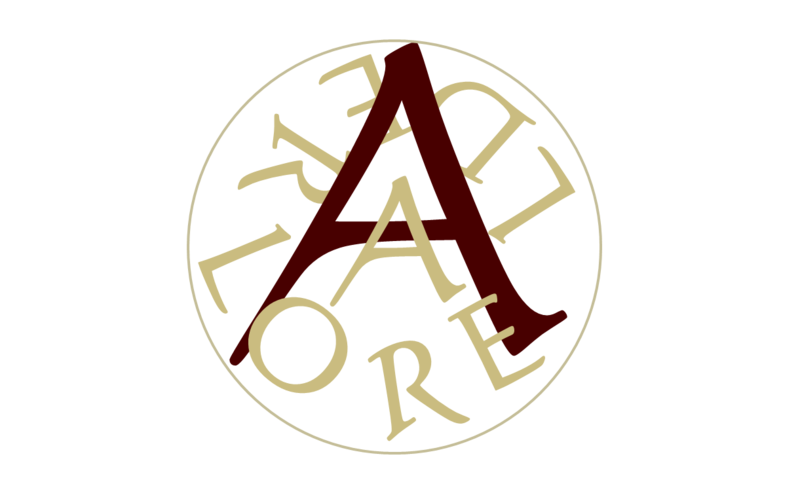 Also, Alderlore is available for people to assemble together to explore this in further depth. That is our mission.